The Friday Balcão Makes Things Happen! The balcão in Goan culture has always been a place of meeting and sharing information. Through the advent of electronic innovations and distractions such as television, the internet, etc, it has lost its place of prominence where the people would gather to chat, discuss ongoing social, political and economic issues. Balcão is the Portuguese word for ‘balcony’ and was rightly incorporated in the name Friday Balcão given to the fortnightly meetings held at the Goa Desc Resource Centre in Mapusa that help shape and inform minds. The ‘Friday’ in the name is attributed to the famed Friday market at Mapusa, as the meeting’s originator Roland Martins informs us. Before we learn about the discussions held at the Friday Balcão, with its slogan of ‘Let’s make things happen’, we must discover how it came into existence. Roland Martins is a well-known figure in Goa and an indefatigable social activist who has been inclined towards social change and righting socio-political grievances since his teenage years. He was part of the students’ movement in the late 70s that brought Goan students 50% concession in bus fare and was instrumental in forming the apolitical Progressive Students Union. Not limiting himself to social activism at university level, Roland went on to establish the Goa Desc Resource Centre (1992), which was to provide information and resources to enable people to make informed decisions and allow them to take positive action, as well as other groups and forums such as Jagrut Goa Fauz, which strove to fight for gender equity, the environment and consumer rights. 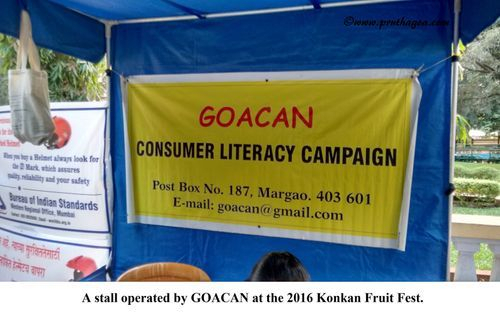 After the successful creation of cells, forums, etc at the village level to safeguard consumer rights, the Goa Desc Resource Centre spawned GOACAN, or the Goa Civic and Consumer Action Network, in 2002 to merge these various organisations under one banner. GOACAN was in a sense a response to despondency that nothing can be done to change the situation in Goa. It has truly proven that Goa ‘can’ with its civic and consumer forums in North Goa and South Goa. The Voluntary Consumer Organisation can be seen working for awareness of civic and consumer rights; encouraging people to be involved in the agencies of a democratic system of government such as the village Gram Sabha and so on; road safety and traffic management; waste management; disseminating an understanding of the Right to Information Act, 2005; and legal and human rights education. The Young Civic and Consumer Movement (YCM), launched in 2006, has been active in the creation of Consumer Clubs in schools and higher secondary schools and Consumer Cells in colleges to spread knowledge of civic and consumer rights among the youth. 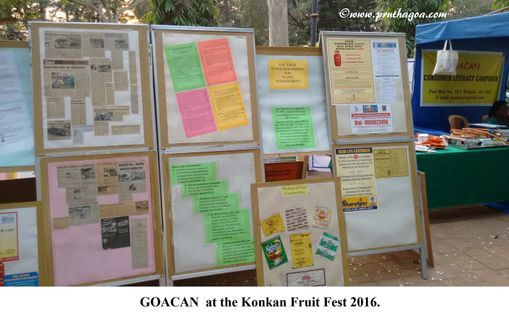 GOACAN also has lectures, seminars, workshops, etc towards achieving the success of its main campaigns. 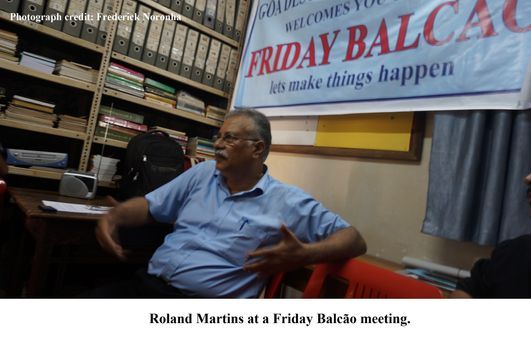 Connected to both the Goa Desc Resource Centre and GOACAN is the Friday Balcão, which came into existence in 1999 with a view to discussing matters stemming from issues taken up by the other two organisations and other social concerns. The discussions take place on every 2nd and 4th Friday of the month. The people at these discussions are from all walks of life. They have either been affected directly or indirectly by the issues under discussion, or feel the need to keep themselves abreast of what is happening in the State by way of bringing in positive change. The Friday Balcão has its mainstay of Roland Martins, Co-ordinator of GOACAN and Lorna Fernandes, Secretary of GOACAN at every meeting. The discussions are either open to the members with a brief introduction to the topic by Roland Martins, or an expert speaker is invited to speak on a topic with further interaction with the speaker. Sanjeev Sardesai has spoken on Challenges in Protecting Goa's Heritage while making people aware of little known parts of that heritage, and Clinton Vaz has been a speaker advising people on segregating and disposing of electronic waste. Arunendra Pandey, Director of ARZ (NGO), has spoken on the problem of human trafficking in Goa and horticulturist Miguel Braganza has been at the Balcão explaining the Goa Fruit and Ornamental Plant Nurseries (Regulation) Act, 1995. Other open discussion topics have been: Challenges faced in life by women senior citizens in Goa; Universal Health Coverage: Everyone, Everywhere; Strategies to Prevent Suicides and Strengthen Mental Health in Goa and so on. Many of the topics have been related to the United Nations universal themes. ‘Over the years we have seen a lot of things, whether it has been some social movement, whether it has been initiatives of people… a lot of things have started here. We have to use this opportunity to learn new things,’ says Martins with regard to the Friday Balcão. The Friday Balcão invites people to join the discussions and offer their valuable input and consequently become part of the movement to make Goa the idyllic locale of social, economic and political justice it could very well become. Friday Balcão discussions are held from 4pm to 6pm at Goa Desc Resource Centre, No.11, Liberty Apartments, Feira Alta, Mapusa. You are invited to express your viewpoint by attending the Friday Balcão. If you cannot attend, then please send your views and action plan suggestions by email to fridaybalcao@gmail.com. Look out for updates of new discussions on the Prutha Goa ‘Events’ section. Some important phone numbers for the Goan with civic sense. Follow this link.